The Care Show which took place in Birmingham was a great success for Bodet Ltd.
Our subsidiary Bodet Switzerland will be exhibiting at the HR trade fair in Geneva on 4th and 5th October 2017 (stand F14). Bodet Ltd will be exhibiting at the Care Show which will take place in Birmingham from 10th to 11th October 2017. The Care & Dementia Show is the UK’s largest and busiest care home event offering training, solutions and networking opportunities to support those connected to and responsible for the care of others. 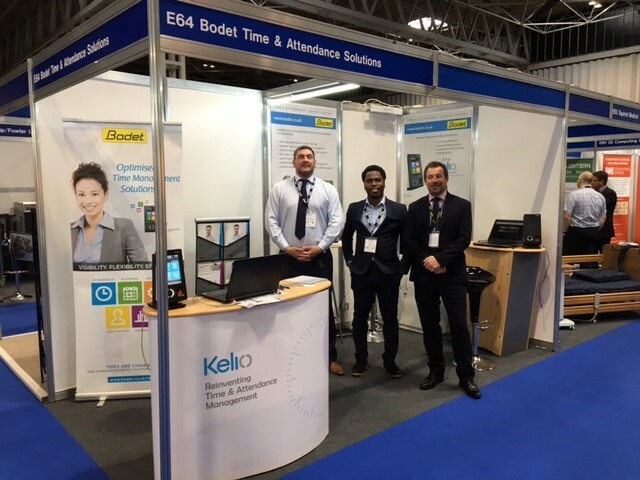 Come and visit us on our stand E64 to see Bodet’s Time & Attendance Solutions specifically designed for the Care Home sector. The airline operator Air Mauritius trusts our Kelio Time & Attendance solutions to manage more than 3,500 employees. Our Access Control solutions have also been installed to ensure the safety of the buildings. Staff members will now use 125 Kelio Visio X7 touch terminals to clock in and out. Bodet Software will exhibit to the trade fair Zukunft Personal, the largest fair dedicated to HR in Europe, which will take place in Cologne, Germany from 19th to 21th September 2017. The export sales team looks forward to welcoming you on stand C30 in Hall 3.2 in order to introduce our latest Time & Attendance and Access control solutions. Securitas Direct is the Europe leader in intrusion, fire telemonitoring systems and connected services for the home and small business. The company, which offers a 24/7 service operates in 14 countries and employs 9,000 people serving a total of 2 million customers worldwide. 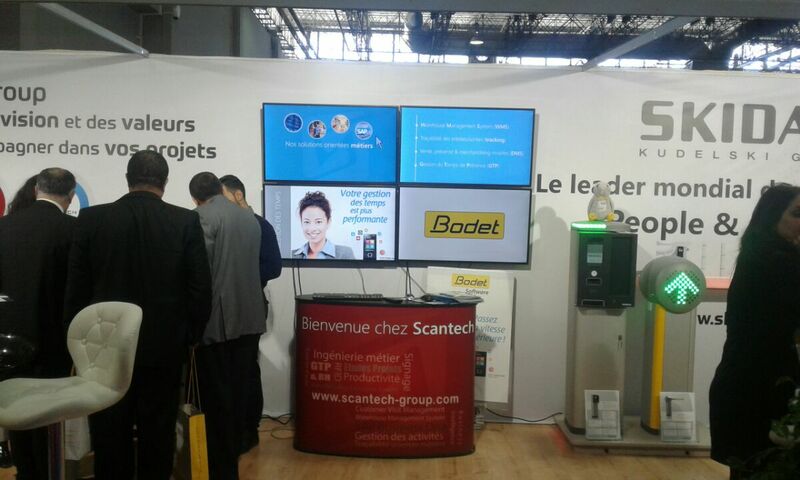 In France, Securitas Direct employs 1,780 people and chose to install Bodet Software's Time & Attendance solutions. Kelio is the effective solution to manage annualised hours, staff attendance and schedule plannings. The system also permited the digitalisation and dematerialization of HR data, and avoid errors linked to the sending of paper documents. "We really appreciated the professionalism and responsiveness of the teams at Bodet Software. The use of clocking terminals enables a better recognition of the work done and ensures the fair treatment of all the employees", explains Mrs Virloire, Head of Compensation and Social Benefits. Puy du Fou has twice been voted Best Theme Park in the world in 2012 and 2014, and won the Applause Award in 2014. The park attracted more than 2.2 million visitors in 2016. In order to respond to its constant development, the HR department chose to install a Time & Attendance system to manage working time of its 1800 seasonal and permanent employees. The Kelio Pro Plus software enables the managers to manage the absences, activities and working time plannings of their team. "We needed a high-performance planning software as we manage over 1600 different work schedules to cover the numerous jobs in the park (maintenance, catering, cleaner, actors, etc.)" explains, Arnould Bethery de la Brosse, Human Ressources Director. The Kelio solution is now a solid element of their Human Resources Information System and guarantees very promising developments for the future.